With enough strength and applied heat, butter, water, flour, and eggs give way to choux pastry dough that bears delicate, light and airy of puff pastries such as cream puffs and eclairs. The Spanish cousin of piped choux pastry, fried and dipped in semi-sweet melted chocolate are churros con chocolate in Spain. La chocolatería de San Gines is the most famous chocolatería in Madrid and perhaps all of Spain, known for their 24-hour service of churros con chocolate to late night clubbers. Beignets are famous to New Orleans’ Cafe du Monde are a choux pastry fried donut dream, dusted with powdered sugar and paired with chicory coffee. 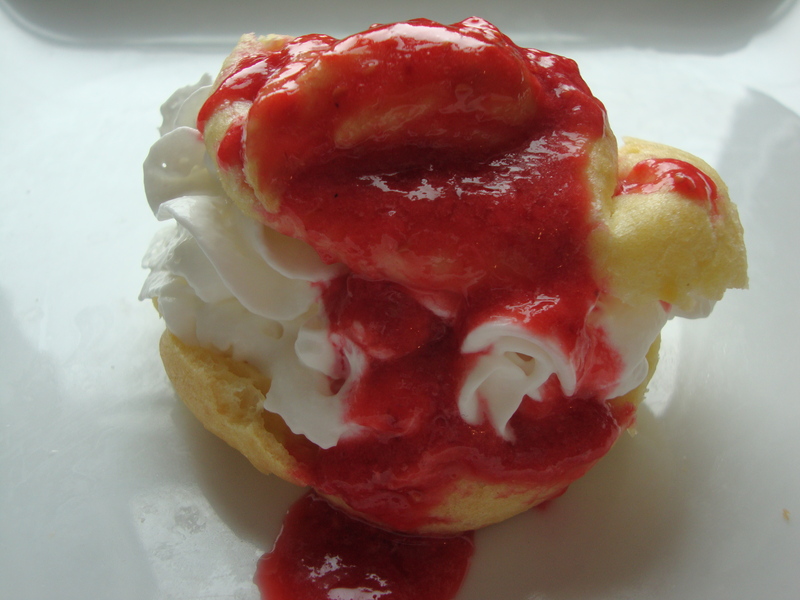 Profiteroles here are of choux pastry crowned with fluffy white clouds of whipped cream and drenched in a puree of raspberries. 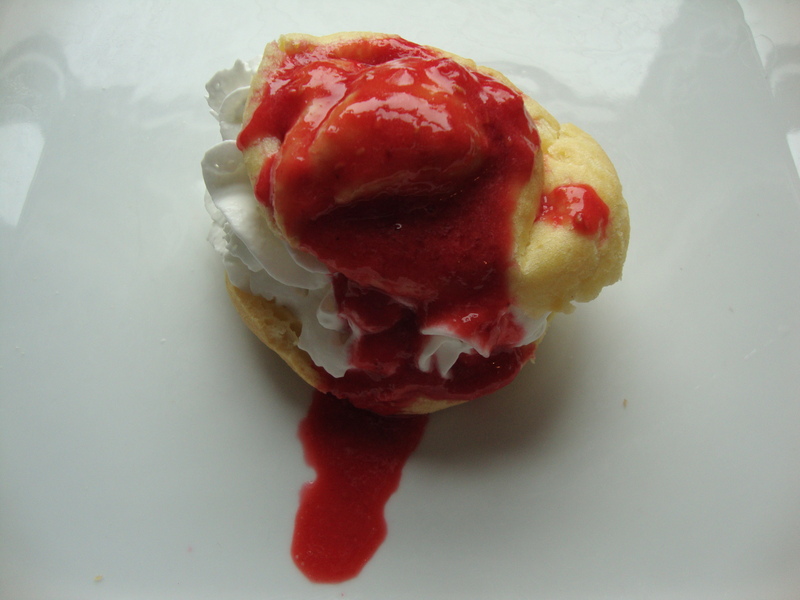 Ice cream or pudding may substitute whipped cream. They look deceptively hard to make, but are surprisingly easy- all it takes is a little arm muscle to beat the eggs into the dough and a steady hand to pipe it out. Ummm this just looks delicious…YUM!! !